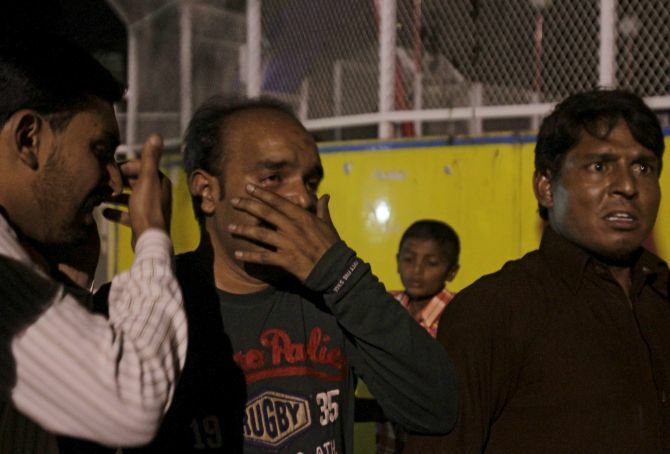 At least 69 people, including women and children, enjoying Easter holiday at a popular park, were on Sunday killed and nearly 300 others injured when a suicide bomber blew himself up in Pakistan's eastern city of Lahore, the capital of Punjab province. A large number of people including Christians were present in the Gulshan-e-Iqbal Park in Iqbal Town area when the powerful blast occurred, leaving many in a pool of blood. 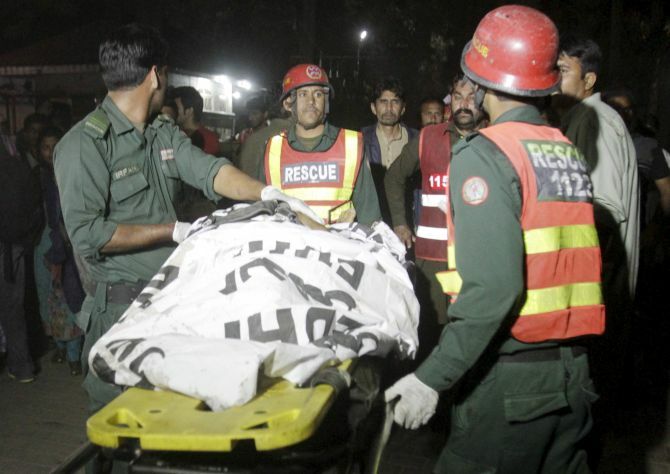 "It is suspected that a suicide bomber blew himself up at the main gate of the park," Deputy Inspector General Lahore Police Haider Asharaf said. He said about 8-10 kilogrammes of explosive might have been used in the blast. District Coordination Officer Lahore retired Capt Muhammad Usman said: "At least 69 people have been killed and over 300 injured in the blast." He, however, ruled out that Christians were the target of the attack. "It was not a Christian park. Christians may be among the dead." 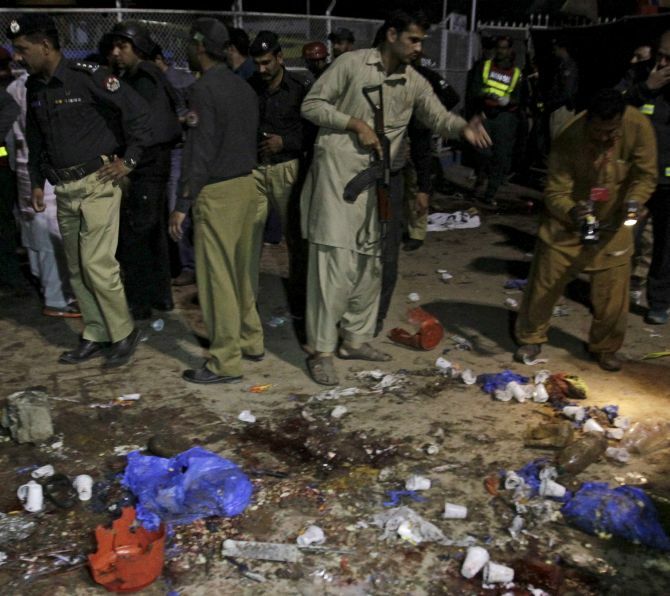 Punjab minister Bilal Yasin said over 300 people have been injured in the blast. "The death toll may rise as a number of injured are in critical condition," he said. An official of the Punjab police told PTI that the suicide bomber -- believed to be in his 20s -- managed to enter the park and blew himself up near the swings. "It appears that the suicide bomber's main target were children," he said. The park is located in a posh-locality in Lahore -- a comparatively peaceful city in an otherwise violence-wracked Pakistan which is also the hometown of Prime Minister Nawaz Sharif. The army has joined rescue officials to shift the injured to hospitals. An emergency has been declared in city hospitals and appeals have been made to people to donate blood. Eyewitnesses said there were scattered body parts all around the park, where a large number of families, especially women and children, were present on a Sunday evening. The crowd was "unusually large" because of Easter. "My two children were taking swings when a powerful blast occurred. Me and the children fell on the ground. I was semi-unconscious. When I fully regained consciousness I ran to find my children," Saleem Shahid, one of the injured in the blast, said at a city hospital where he was being treated. His children sustained injuries in the blast. "Thank God! They were alive having injuries on their head. I tore my shirt and made a bandage of it," Shahid said. Police tried to evacuate the park but people looking for their kins refused to leave the place. "Still a good number of people are in critical condition," Emergency Services Rescue spokesperson Deeba Shahnaz said. Punjab government has announced a three-day mourning in the province. 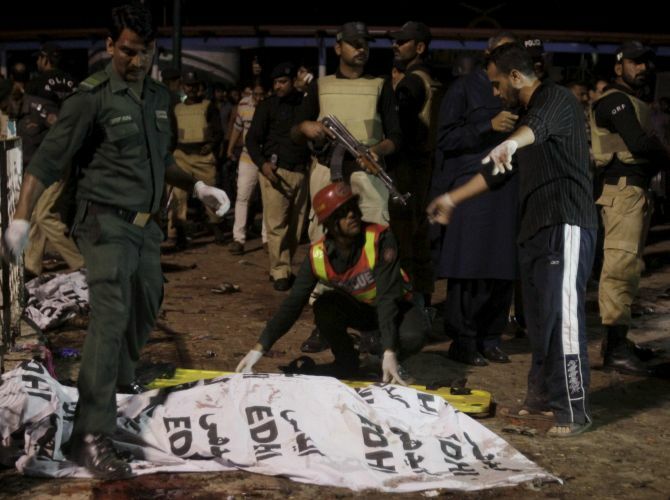 Several leaders, including Prime Minister Sharif and Pakistan Tehreek-i-Insaf chief Imran Khan, have condemned the blast. Christians leaders also strongly condemned the attack.